Practitioners who are storing vaccines, participating in a VFC program, or seeking to comply with requirements set out by the CDC, are usually recommended a purchase a medical grade refrigerator rather than just use a household-style refrigerator. You may wonder what is so much better about a medical-grade refrigerator and why is this added expense necessary? 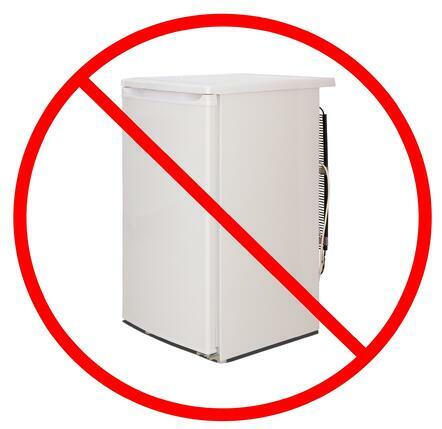 Studies by (NIST) the National Institute of Standards and Technology have shown that household refrigerators are less able to maintain adequate storage temperatures then commercial or medical grade refrigerators. A "medical grade" fridge is really just a commercial grade refrigerator with a few added options. They are manufactured with stronger components that last longer and are less likely to fail. Commercial refrigerators with double compartments housing a fridge and freezer it will have two compressors, one for each compartment, whereas a household refrigerator usually cools both compartments with only one compressor. The temperature controls are more accurate than the ones that are used in household units. Commercial units are also equipped with alarms that indicate when a door is left open or when a loss/gain in temperature is happening. Household units usually have storage areas on the door which causes a risk of fluctuating temperatures for items kept in those areas, medical refrigerators do not have any door storage. Medical Refrigerators have a few added features which commercial units do not usually have. Glass doors are one of these features, allowing users to locate the item they desire before opening the door. This improves efficiency making for less door open time and maintains temperature consistency. Medical refrigerators are designed with grated shelving allowing better airflow and more consistent temperatures throughout the refrigerator. They are also equipped with an alarm which is designed for the storage of vaccines and CDC requirements. In general, a household refrigerator has a smaller compressor which runs less, making it more efficient and costly to provide emergency power for. Many household refrigerators manufacture like to make products that are “Energy Star” rated, which ensures their consumers that the appliance will not have much impact on the electricity bill. The less energy the appliance uses the cheaper it is to provide emergency battery backup power.